This elegant Majestic HE slimline balance flue fireplace is made only from the highest quality materials. 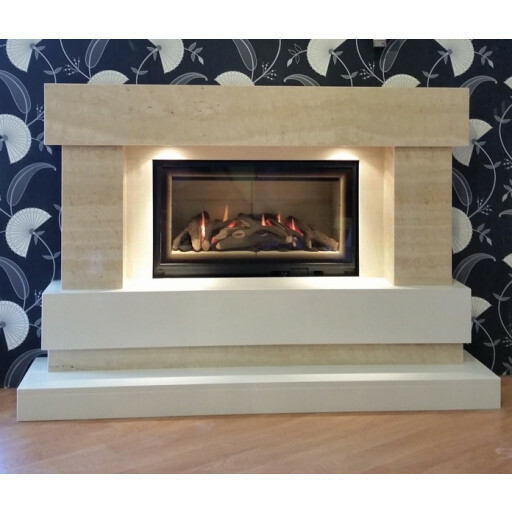 Constructed from polar white marble and travertine stone, it is the high efficiency version creating 4.2Kw of heat at 86% efficiency. Sleek, stylish and modern, the Majestic HE fireplace is a beautiful addition to the decor of any home. The Majestic HE fireplace awaits a place in your home. Models can be financed for a reasonable monthly price using our 0% finance scheme.